Ever wondered how the world will be ten or twenty years from now? Well, I can tell you one thing, technology will have taken over, and we will have enormous improvements in the way we do things and in the way we live. Currently, home automation is taking root in a lot of countries, and people are warming up to the idea of living in smart homes. In the middle of this home automation hullabaloo are linear actuators whose integration has helped to make certain things possible. The truth is, a smart home which is filled up with products which are connected has immense potential to make our lives better and easier. Convenience is also something people seek in their homes and which I believe will be a forgotten issue in a smart home. Imagine a world where you use your smartphone to prepare your house remotely. This means that in case you have had a long day in the sun, you can cool your house remotely and get there in time to relax and do your evening bidding instead of manually turning on the air conditioner. Aside from this, imagine a world where you can do your chores and focus on them while Amazon’s voice assistant, Alexa, reads you the day’s big stories. Will this not be convenient and easier? Will we not have made steps in the right direction? Well, I believe so, and this article is here to list some of the ways your life will be improved because of home automation. Automation technologies serve many purposes including keeping and maintaining the safety of our homes. 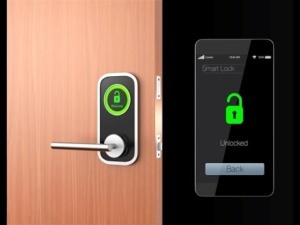 For example, you can install a smart access lock which will help you to remotely open your doors to any friend or relative who may have visited you. This will simply require their notification that they have arrived and whether you are in the house or not, you will be able to let them in. Additionally, you can also monitor the security of your home using security cameras. Having these installed will help you remotely know when there is a visitor at your door or when burglars are at your home and are trying to get into your home. Nowadays, security cameras are integrated with motion systems, which make it easy for them to track or even trail any intruder. These upgrades will enhance your lifestyle and ensure you will never be caught off-guard or experience any unpleasant surprises. Home automation will also ensure different devices are connected which will save you time and increase convenience. Currently, many people use devices which are independent of each other and therefore, communication between these devices is not possible. However, with home automation, you can have different devices connected, and this will ensure communication between them is maintained and that your house is run conveniently. For example, you can have the motion sensors in your home connected to the thermostat. If you, therefore, move from one room to another and it is during winter, the motion sensors may communicate to the thermostat that will start making your intended destination warmer. Life will indeed be improved. Most of the time, people leave their lights on or forget to put them off when they leave for work. Additionally, it is also tedious to go room-by-room switching lights off, closing doors, switching the air conditioner off, etc. It takes more time, and one may end up forgetting others which add to the monthly bill. 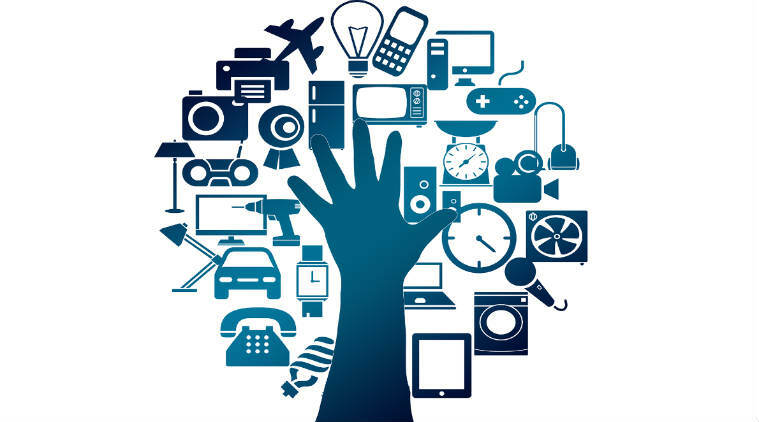 However, home automation will help you put everything off in your house because they will all be connected and you will be controlling them using your smartphone. You can choose to have lights come on the moment you walk into a room or switch them on before you get home from work. The choice will be yours to make. Connecting with family members can be hard and often people fail in their effort to stay connected. Currently, people are using their smartphones to follow their friends on the various social media platforms. Through technological innovation, one can now monitor their children, pets, or any close relative. You can have your phone tell you when your children arrive home from school or when your pet is outside the house. Instead of getting worried about your children and calling the school to inquire about the time they left school, you can now know exactly where they are and be to their aid whenever something happens or is about to happen. Embracing home automation is also another way of going green or embracing the challenge of conserving energy. For example, if you are leaving home for work, you should not leave your thermostat on all day simply because you need to find the house warm or cool when you get back. However, you can have it on a timer and ensure it sets the temperature just where you like it when you get back. In conclusion, home automation will indeed improve our lives in so many aspects. People’s lifestyles will change for the better and in a lot of ways than the few listed above.